Designing a building is a challenging process for the architect. More so, when the design has to balance the client’s brief with the limitations of the property. Car parking design can be quite complex, especially in apartment developments. The architect is required to integrate sufficient parking space for future residents while meeting building code requirements. In traditional building design, this would usually involve dealing with the expense of deep excavation works, to gain enough space underground for a conventional carpark and its associated ramps. However, thanks to LevantaPark, there’s an alternative method of creating car parks, which is becoming increasingly viable for architects, developers and building owners, especially on space constrained properties. Automatic parking systems are a highly practical solution for meeting and exceeding a building’s parking requirements. LevantaPark’s auto parking systems can also be customised to the exact requirements of the site and design. Properties come in all shapes and sizes, requiring the architect to work within their limitations. By incorporating an automatic vehicle parking system, the architect can minimise space wastage and eliminate the need to include cumbersome and wasteful ramps in the carpark design. Designed to deliver more safety and security for end users, auto parking systems require no more maintenance than a conventional car parking layout but offer a more environment-friendly parking solution. A major benefit of automatic parking systems is their ability to make previously ‘undevelopable’ sites to become financially viable. LevantaPark designed and installed a custom parking system for the new Bond Quarter residential development in Melbourne’s Spencer Street, 2km from the Melbourne CBD. The architecturally designed development featuring 105 apartments, required parking for a minimum of 79 vehicles. A conventional car parking setup was not a viable solution for this site. LevantaPark’s solution was to design a custom 6 level automatic car stacker that would easily accommodate the required spaces underground. Since the solution used auto car stacking equipment, the developer was able to minimise excavation, with resulting cost savings. 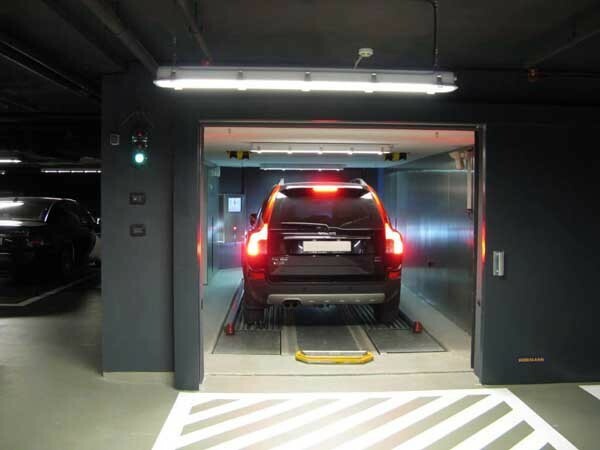 There’s no doubt that automatic car parking systems can be one way to elevate your building design from the conventional to the exceptional. Explore LevantaPark’s car parking designs in this special free to download ebook, No More Ramps.